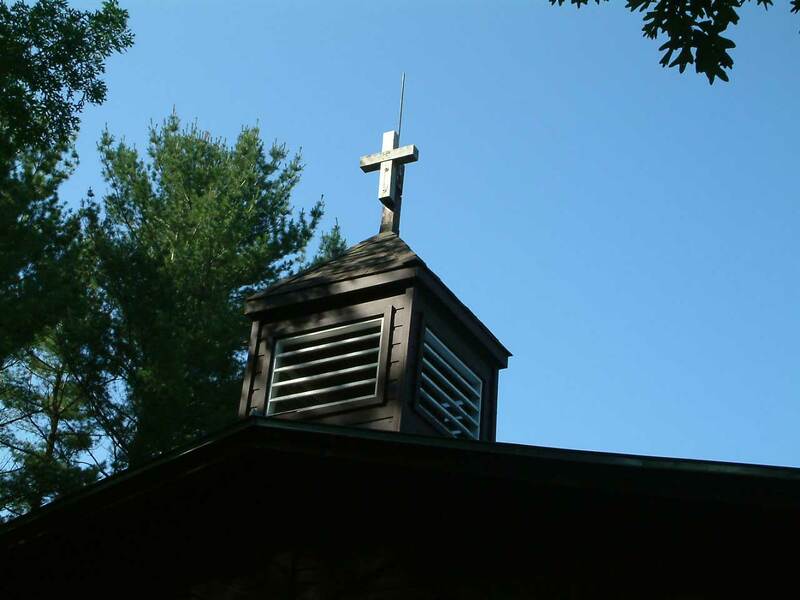 After the dining hall, the chapel was high on the priority list of Camp Cleghorn's founders. It was built in the early 1900's. 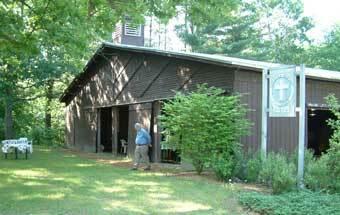 Nestled between the lake and the woods it feels as though you are part of both during Sunday services. A men's quartet is performing during the morning service. 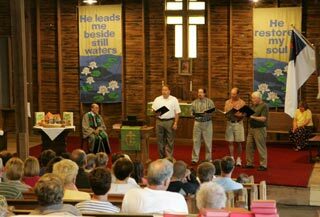 The chapel has a long tradition of including local talent as part of the worship service. The camp bell is rung before Sunday service. Memorial contributions have been made in memory of those that have been blessed by their time here. The carillon music was added as a memorial in the early 70's. Today chimes are played at 9am, noon, and 6pm during the summer months. The steeple which also protects the bell (shown on the left) was another addition made possible by donors.